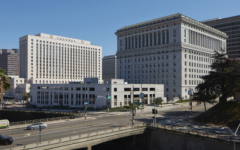 Originally built in 1925, the L.A. Hall of Justice building, located in downtown Los Angeles, recently underwent a complete restoration, including a seismic retrofit, MEP upgrades, and tenant improvements due to the damage it sustained from the 1994 Northridge earthquake. 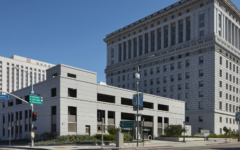 As a part of the restoration effort, a new 1,000-space parking structure was constructed on the adjacent surface lot to serve the anticipated increased County staff. 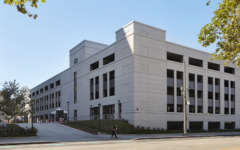 The ten-level garage is set into the sloped site and includes four and one-half below-grade levels. 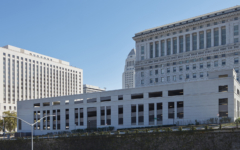 The cast-in-place concrete structure is clad in decorative architectural precast concrete matching the adjacent historical building in character and finish.